These Feather Pens are so Pretty and easy to make! Here’s the DIY. Make these magical Sparkle Top Pencils using this DIY. 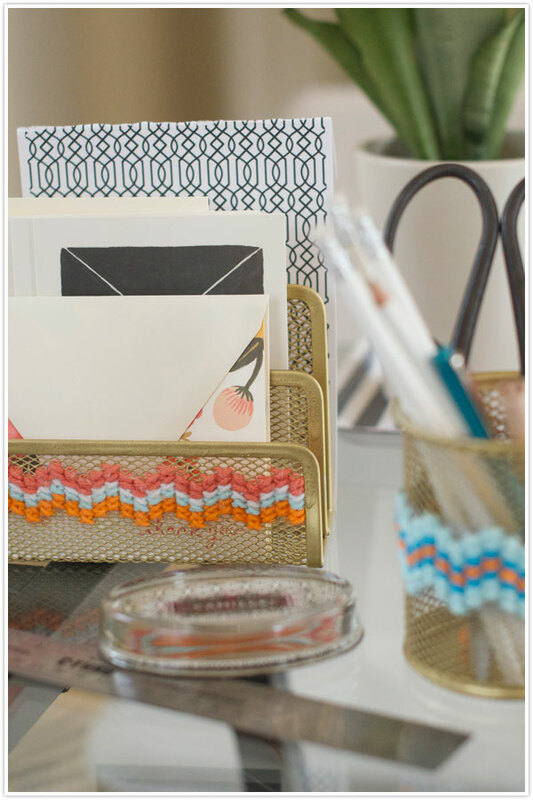 I love the look of these Cross Stitch Office Supplies. Get the DIY here. Learn how to make this Braided Rug using this tutorial. Restyle an old pair of Jeans into some Polka Dot Jeans using this DIY. Recycle an Old Window into a fun Organizer using this tutorial. Thanks for sharing! 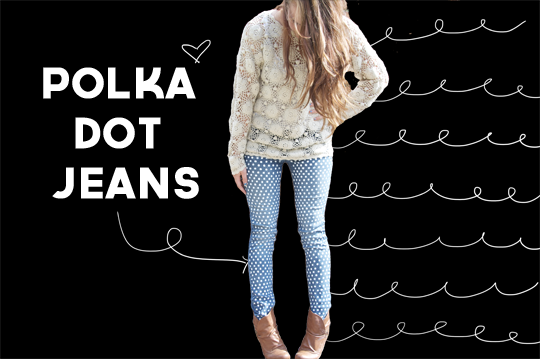 I love the polka dot jeans and the braided rug. Too cute.